Super shiny, incredibly glamorous and very warm. 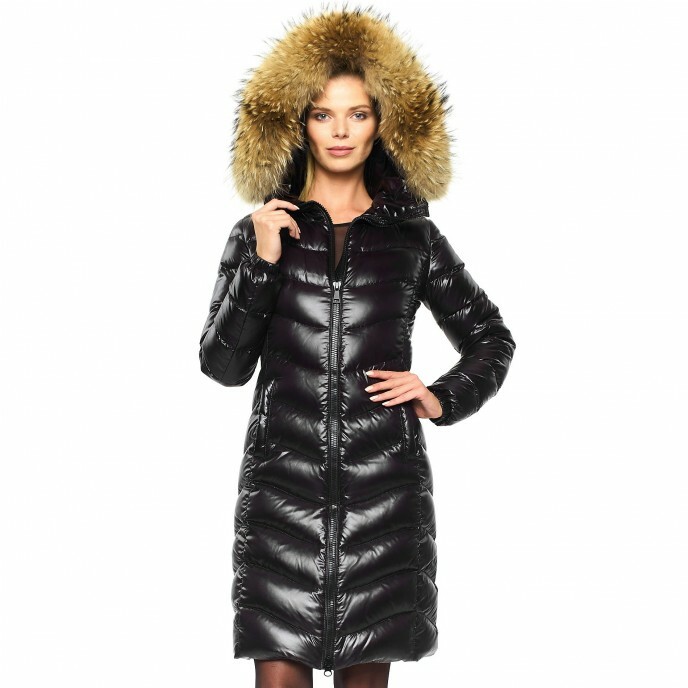 You can appear glamorous on the iciest of winter days with our Puffer Jacket with Fur Hood ”IceBlack”. 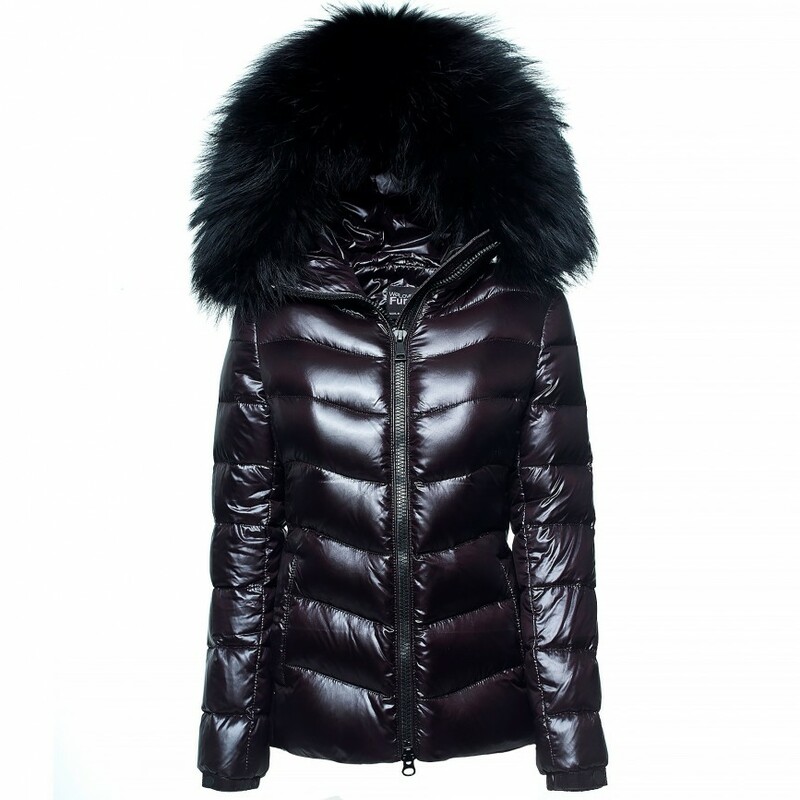 A combination of highly glossy black, super feminine design and maximum size XXL fur collar means that this jacket is mega extravagant. Inspite of its extra voluminous down chambers the jacket is cut in a highly tailored way, which makes you look super slim. A further highlight of this jacket is the magnificent GreenCollection fur collar, which comes in the typical WeLoveFurs XXL Oversize size. The fur is of guaranteed sustainable Finish origin - and can be easily removed. Our Puffer Jackets with Fur Hood are padded with 90% goose down and 10% feathers, and include high quality zips and practical side pockets. Our Puffer Jacket with Fur Hood is made of a unique, highly glossy material, “IceBlack”. The glossy black and solidly filled down chambers mean that this jacket is an absolute winter highlight. You can easily combine the jacket with all kinds of winter outfits as the cut and colour allows for a variety of looks. Our Puffer Jacket with Fur Hood is suitable for the classical winter everyday look, as well as skiing trips and apres ski parties. Glamour can be created by a combination with matching colour outfits. Wear the jacket with tight black jeans and overknee boots for a more chic look, or with leggings and moonboots when you want to create a more casual look. 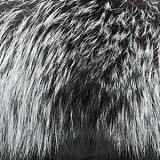 The XXL fur collar is detachable, so that the jacket can be worn in autumn, winter and spring, during all outdoor activities and occaisions. 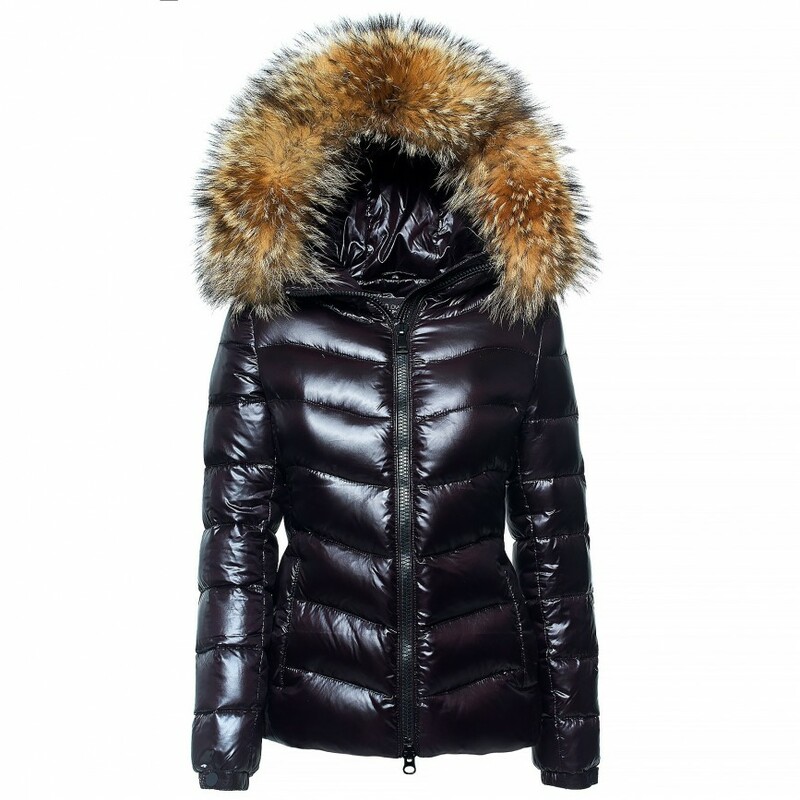 Also check out our Puffer Coat "IceBlack" which comes with a longer cut.